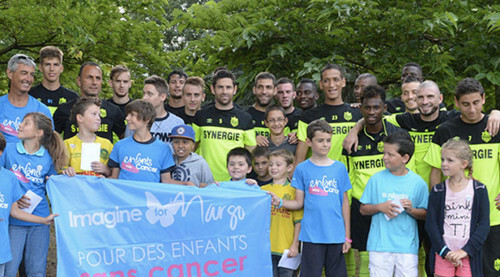 The organization “Imagine for Margo” conducts advocacy and fundraising to help research on specific, innovative and more effective treatments for children with cancer, to provide support to affected families and help the welfare of children in the hospital. “Imagine for Margo” is a recognized public interest association. Is the message left by Margo that we found in her books after she died. so that one day the dream to cure all children with cancer will become a reality.